Home / Diet & Nutrition / Is the amount of arsenic in red wine harmful? Is the amount of arsenic in red wine harmful? 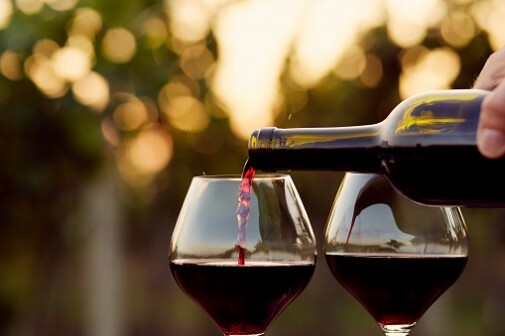 Drinking red wine may help improve cardiovascular health, decrease risk of cavities and interrupt Alzheimer’s disease, but it also contains a high amount of arsenic, according to a recent study. Researchers at the University of Washington tested 65 American wines and found that their average arsenic level was significantly above the 10 parts per billion deemed safe by the Environmental Protection Agency. Of the wines tested, all but one exceeded the recommended arsenic limits and some wines contained as many as 7.6 times more arsenic than is considered safe for consumption. Arsenic is an element found in the natural environment, including in the air, soil, rocks and plants. Long-term exposure to arsenic can increase the risk of developing several types of cancer and heart disease. In a companion study, the researchers agreed. Stepping back to take a big picture look at the average diet, they sought to determine whether arsenic consumption should be viewed as a serious health threat. They examined foods known to contain arsenic, such as seafood, apples, rice, baby formula and milk, and calculated how much arsenic someone ingests by eating them. Some foods posed more of a risk than others. Regularly drinking red wine would only meet a fraction of the recommended daily limit of arsenic, for instance, but eating smaller amounts of seafood and rice could push people much closer to the limits.